James Stewart once said, "For John Ford, there was no need for dialogue. The music said it all." This lively, accessible study is the first comprehensive analysis of Ford's use of music in his iconic westerns. Encompassing a variety of critical approaches and incorporating original archival research, Kathryn Kalinak explores the director's oft-noted predilection for American folk song, hymnody, and period music. What she finds is that Ford used music as more than a stylistic gesture. 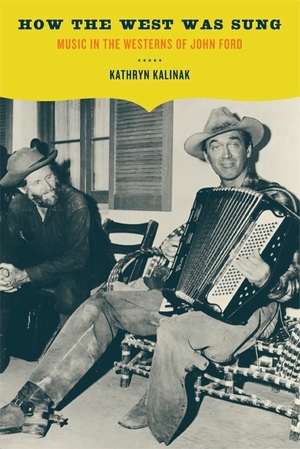 In fascinating discussions of Ford's westerns—from silent-era features such as Straight Shooting and The Iron Horse to classics of the sound era such as My Darling Clementine and The Searchers —Kalinak describes how the director exploited music, and especially song, in defining the geographical and ideological space of the American West. Kathryn Kalinak is Professor of English and Film Studies at Rhode Island College and author of Settling the Score: Music and the Classical Hollywood Film.